The player of the Lakers wrote a message to the official account of the referees for the lack that whistled in favor of the Thunder in the last play. Yesterday it was announced that the NBA referees would answer questions about live actions that came to them through their Twitter account (@OfficialNBARefs). Last night there was a very controversial move that sent the Thunder-Lakers to extra time. A foul in the last second of the match of Lonzo Ball to Russell Westbrook when he was preparing to throw a triple to tie the game. Segun could be seen in the images La fault, although very fair, seemed prior to the shooting action. But the referees of the party did not doubt it and pointed out the free throws with which Westbrook sent the match to extra time. LeBron James, who still has not played because of the groin injury, opened his Twitter at that moment to send a message to the official referees' account: "So, how does the shooting action rule really work? friend ". All this accompanied by an emoticon of a pensive face. 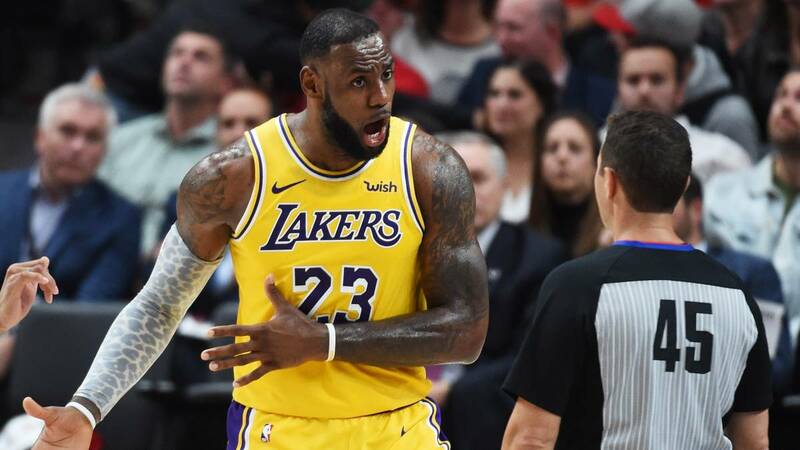 We suppose that LeBron will be satisfied with the explanation of the referee Tom Washington, who took him out of doubt, to him and everyone who did not see a lack of shooting, to a reporter after the game. "The referee whistled foul because at that moment he thought Westbrook had started his throwing motion and was clearly behind the three-point line and there was an illegal contact by Ball. There is no rule to check whether or not there is a The only reason in this case would be to see if the shot is three points or not.2 If we had doubts about Westbrook's position, we would have reviewed the action, and then we would have realized that the illegal contact actually occurred before its upward movement ".